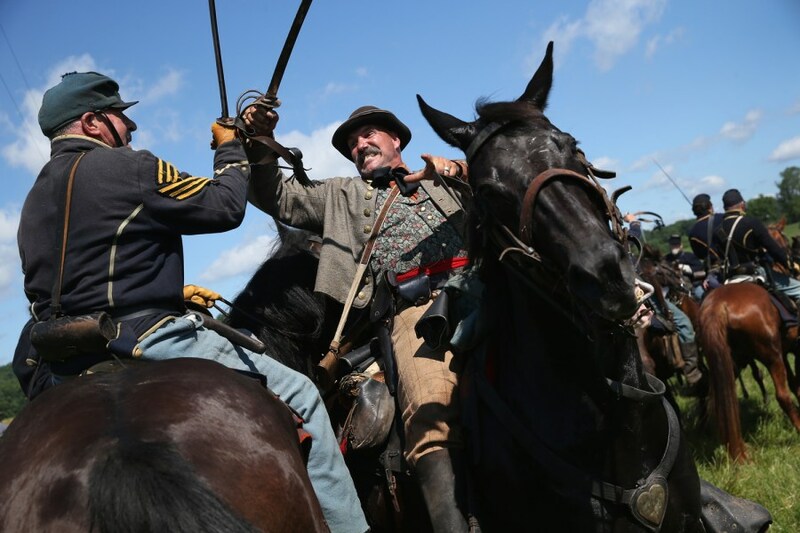 Union and Confederate re-enactors skirmish during a make-believe Battle of Gettysburg on June 29, in Gettysburg, Pa. Over three days, more than 10,000 re-enactors will pay tribute to the gruesome battle that took place July 1-3, 1863, during the U.S. Civil War. Re-enactors watch a demonstration of a battle during activities that commemorate the 150th anniversary of the Battle of Gettysburg on June 29, at Bushey Farm in Gettysburg, Pa. Union forces turned away a Confederate advance in the pivotal battle of the Civil War which was also the war's bloodiest conflict with more than 51,000 casualties. 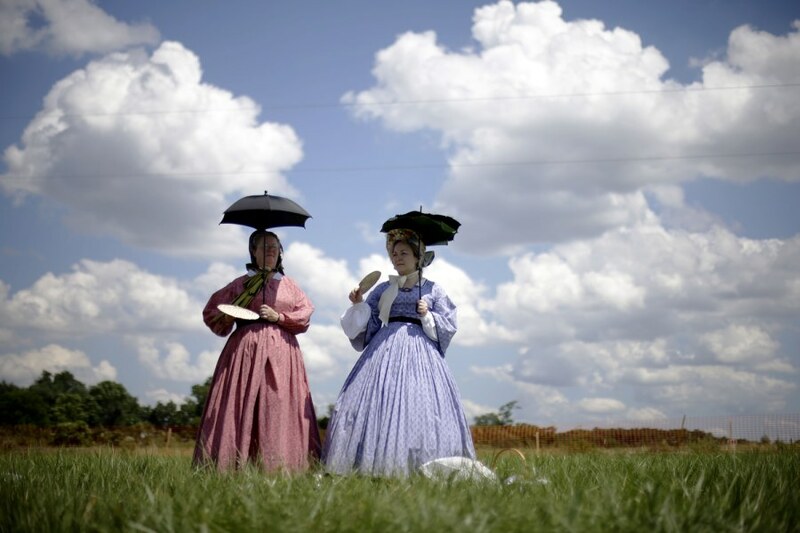 GETTYSBURG, Pa. — As re-enacted war raged several miles away, tourists strolled a commercial strip of Gettysburg to survey T-shirts, hats and other trinkets to commemorate the 150th anniversary of the Civil War's pivotal battle. 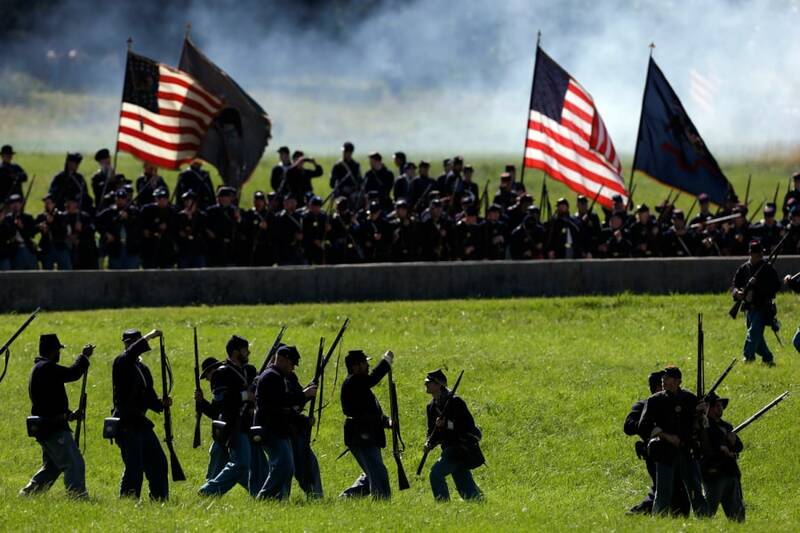 More than 200,000 people — including thousands of re-enactors — are expected to visit this small south-central Pennsylvania town through Fourth of July weekend to mark the milestone. Read the full story. Re-enactors take part in a demonstration of a battle. 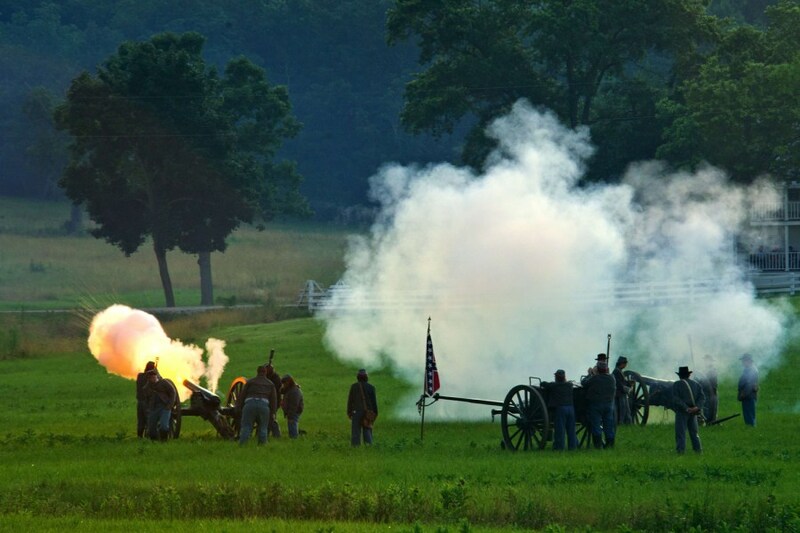 Confederate artillerymen fire at Union positions during a re-enactment of the Battle of Gettysburg on June 29. 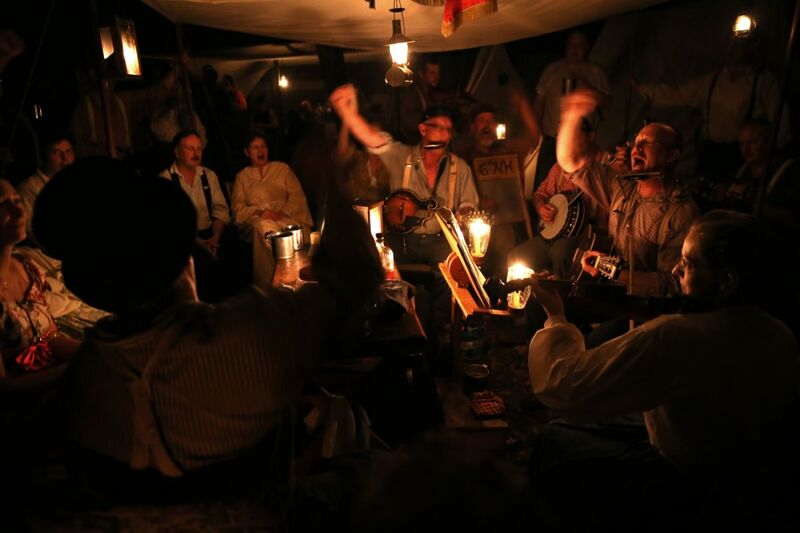 Civil War re-enactors from the 6th New Hampshire Contraband play while relaxing in a Union camp after the first day of the Blue Gray Alliance re-enactment of the 150th anniversary of the Battle of Gettysburg on June 28. 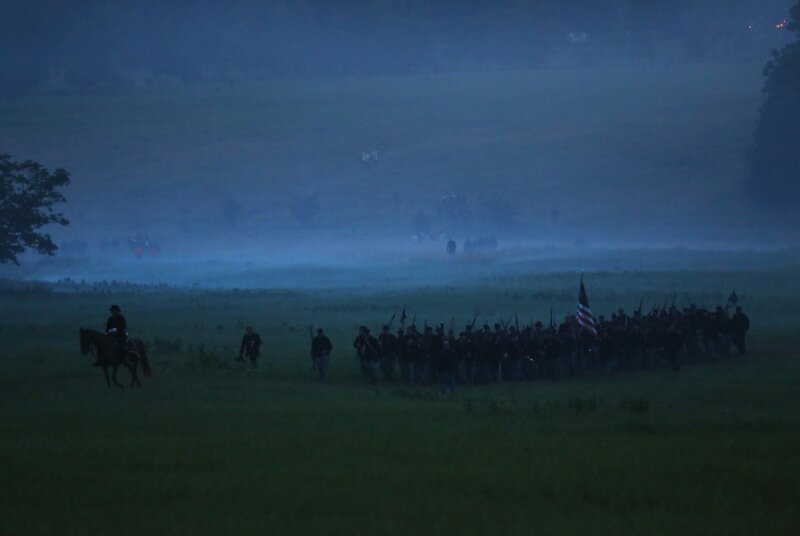 Union Army re-enactors leave the field of battle at dusk after the first day of the Blue Gray Alliance re-enactment on June 28.